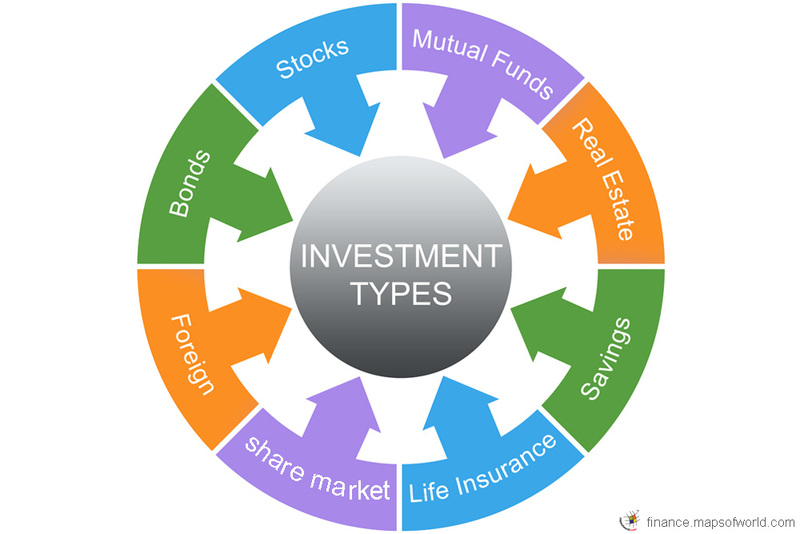 A particular investor normally determines the investment types after having formulated the investment decision, which is termed as capital budgeting in financial lexicon. With the proliferation of financial markets there are more options for investment types. Purchasing Securities in Money or Capital Markets. Buying Monetary or Paper Financial Assets in Money or Capital Markets. Investing in Liquid Assets like Gold, Real Estate and Collectibles. Investors assume that these forms of investment would furnish them with some revenue by way of positive cash flow. These assets can also affect the particular investor positively or negatively depending on the alterations in their respective values. Investments are often made through the intermediaries who use money taken from individuals to invest. Consequently the individuals are regarded as having claims on the particular intermediary. It is common practice for the particular intermediaries to have separate legal procedures of their own. Investment in the domain of personal finance signifies funds employed in the purchasing of shares, investing in collective investment plans or even purchasing an asset with an element of capital risk. In the field of real estate, investments imply buying of property with the sole purpose of generating income. Investment in residential real estate could be made in the form of buying housing property, while investments in commercial real estate is made by owning commercial property for corporate purposes that are geared to generate some amount of revenue.